ACP (Ackermann Cycle Performance) is a small family oriented business located in Hamilton Ontario Canada; about 1 hour outside of Toronto. 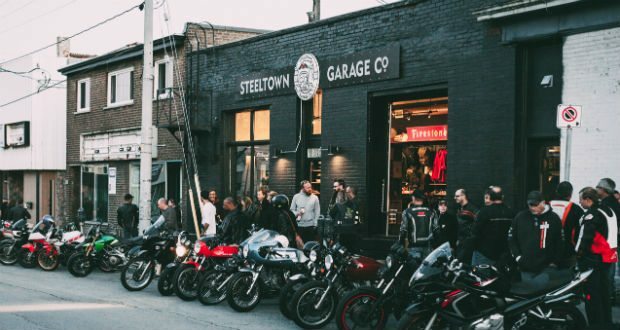 They focus on custom motorcycle builds and fabrication like a one-stop shop. 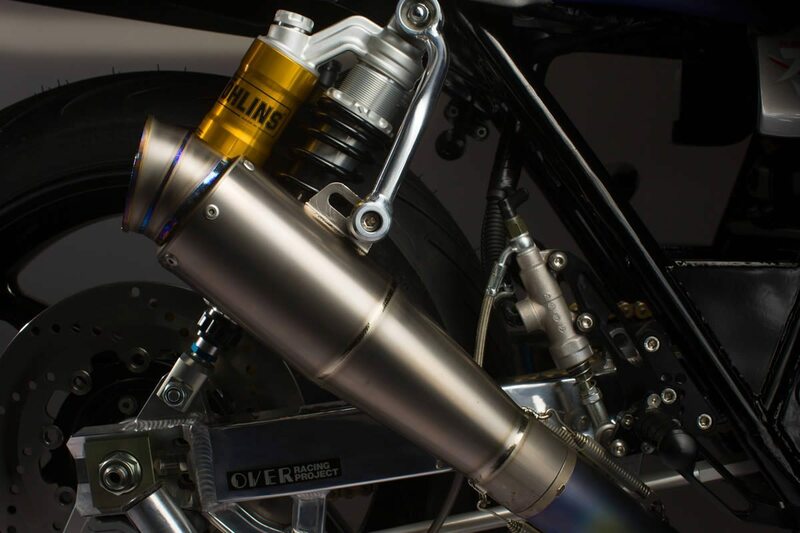 They do all of their own in-house powdercoating; we design, mill and fabricate all of our their custom parts; and provide in depth electrical services from bike rewiring to full custom harnesses. This is a serious go-to place for sourcing hard to find parts for customizers all around the world. ACP takes each build personally and cracks out one kick *** motorcycle after another. 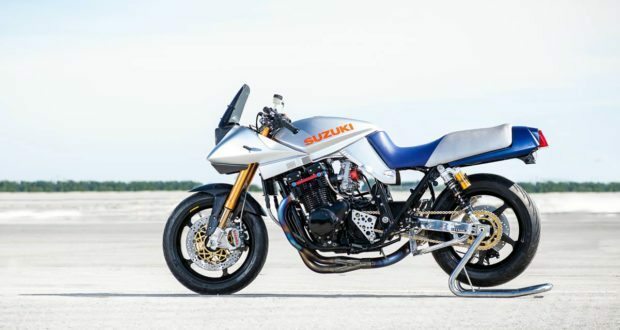 In this build, they take an old Suzuki Katana out of it’s case, and put together something the Suzi gearheads of 1982 wish they had been able to make. It’s all of the old school flash, with modern kick. Check this out. 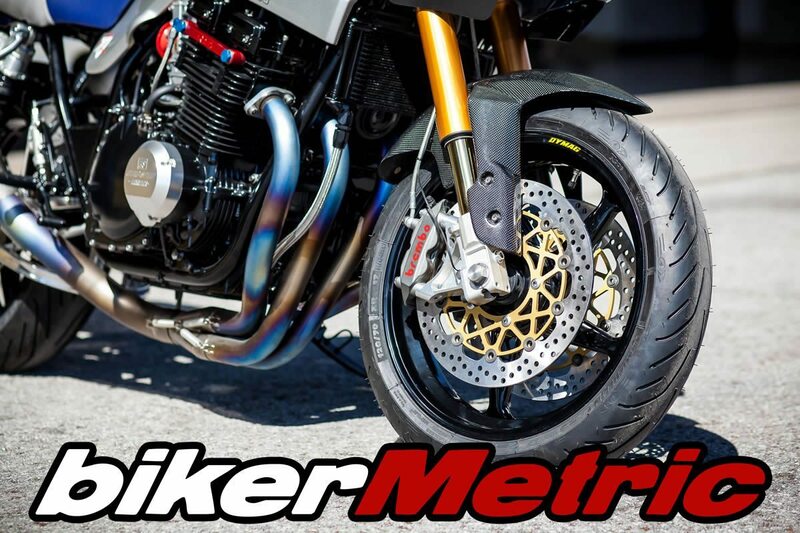 bikerMetric: You’ve been on bikerMetric a few times. Are you guys ever gonna make it rich? ACP: We won’t ever be millionaires doing what we do, but we love doing it nonetheless. We don’t look at our shop as a place to turn out or flip as many bikes as possible; we are not assembly line bike builders. 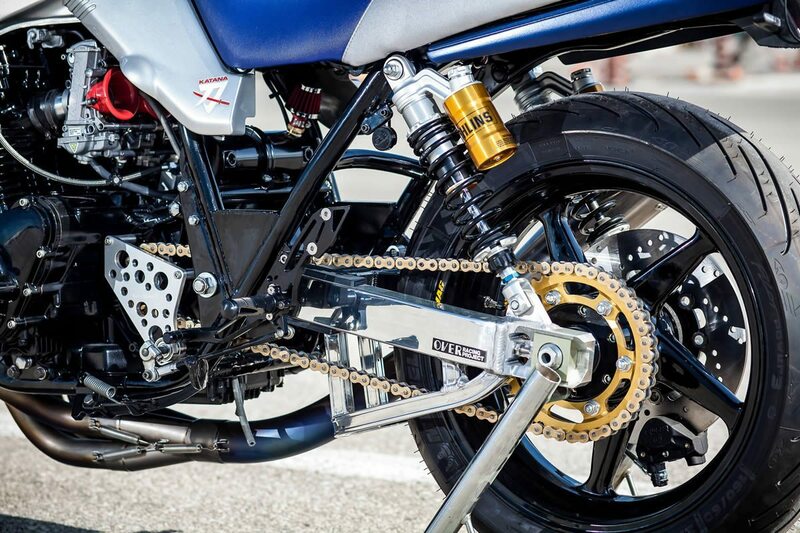 We manufacture parts and customize motorcycles because we love the entire process. We’ll take being on bikerMetric. bikerMetric: Nice. 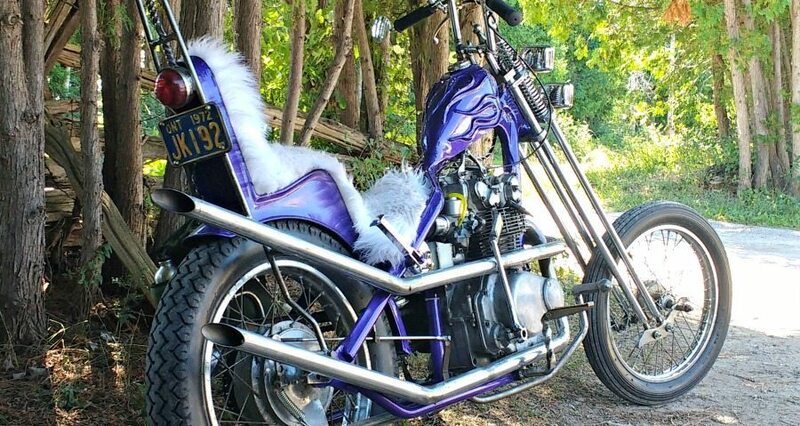 What kind of shape was the bike in before you started customizing it? ACP: Just your typical crate project: roller frame and engine pulled. ACP: And then we tried to make it as OEM as possible, but with modern upgrades. 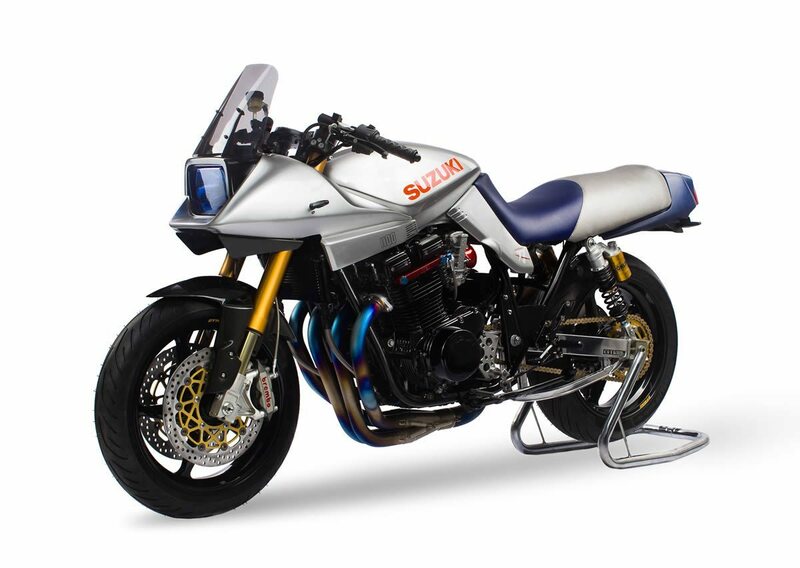 Think of it as the bike Suzuki might have built 1982 if they had access to the parts we do today. A lot of the upgrades are subtle, liked the frame; other upgrades are very apparent, like the front suspension. 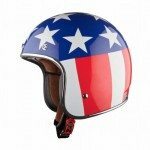 bikerMetric: So you made a few changes to it? ACP: Yeah, just a few. Want the list? ACP: You asked for it. 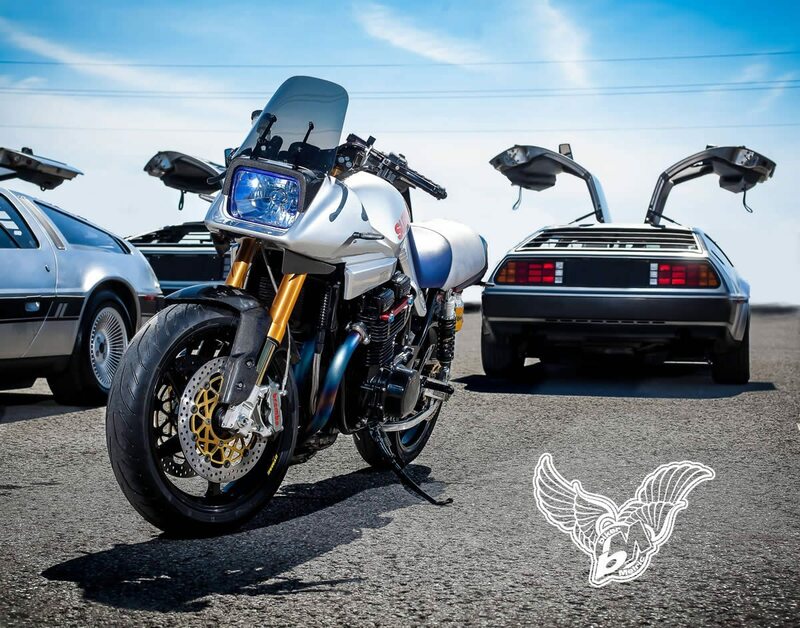 Body: It’s just not a Katana without the front fairing! 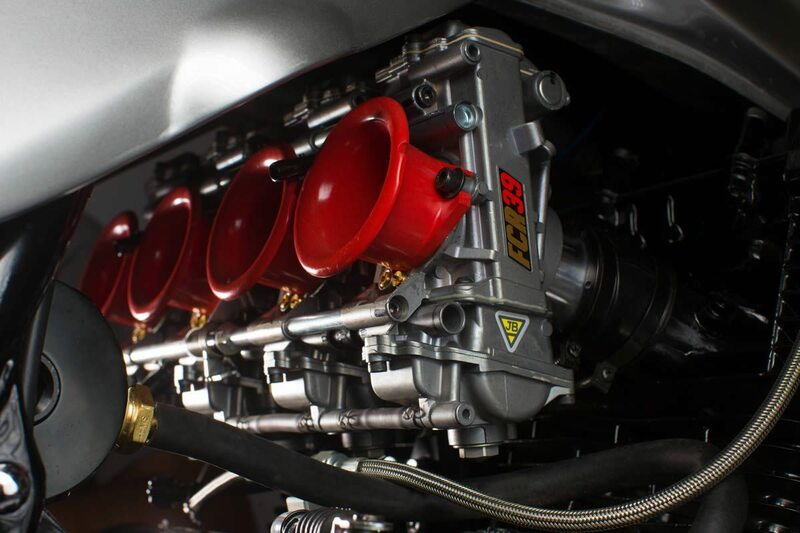 Engine & Driveline: Beefed up because…why not? bikerMetric: Fun fact – 40% of bikerMetric readers are going to scroll right past that list. The other 60% have stopped reading and our currently shopping for parts. From that whole list, does anything stand out as your favorite? ACP: The custom triples trees are a major showcase piece for us. We designed the upper and lower triple in-house and we did all the CNC machining ourselves. It has a dual finish with brushed aluminum and powdercoat. bikerMetric: what was the hardest part? ACP: Research and waiting. A large part of this project was researching parts like the suspension, swing arm and rims; when you are changing all of these components a lot of research is needed to make sure it will all work and fit together. Waiting for all of those things to arrive, like the custom magnesium rims out of the UK, or the hand bent exhaust for Japan, is definitely an exercise in patience. bikerMetric: The frame looks sweet. ACP: The frame work is great and often overlooked. The bracing in the rear was really made to look as OEM as possible. The powdercoating really ties it all together. 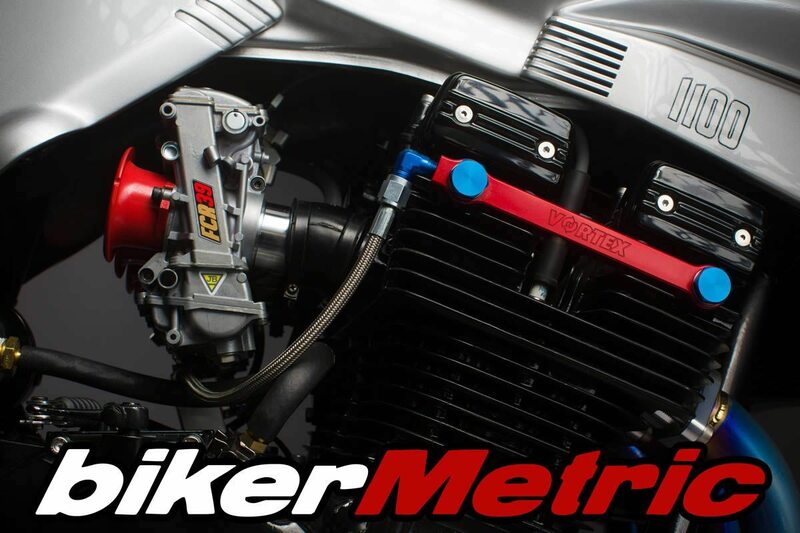 bikerMetric: What’s next on the table lift? ACP: We have a few bikes on the go. 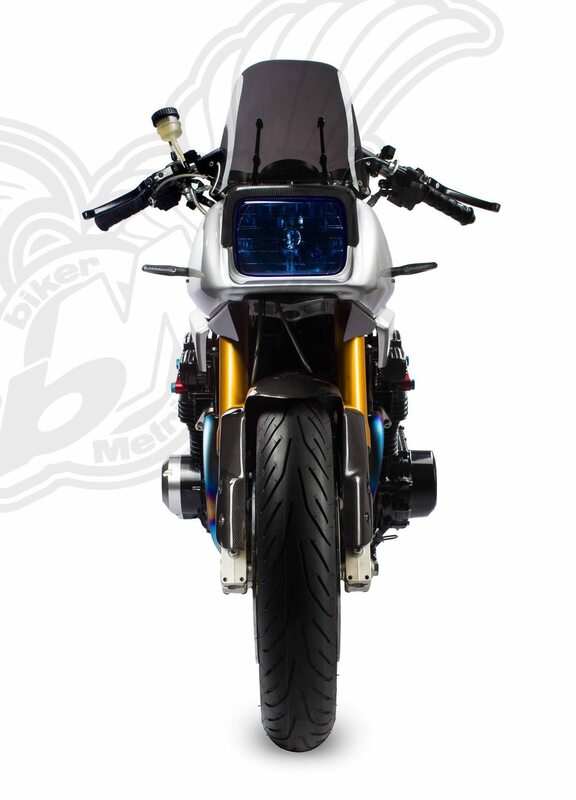 On the metric side, we have a 2016 BMW RnineT that we are very excited to be working on. It has a very aggressive timeline and will be completed in winter of 2017. We will be customizing a lot with this build and are looking forward to the final product. 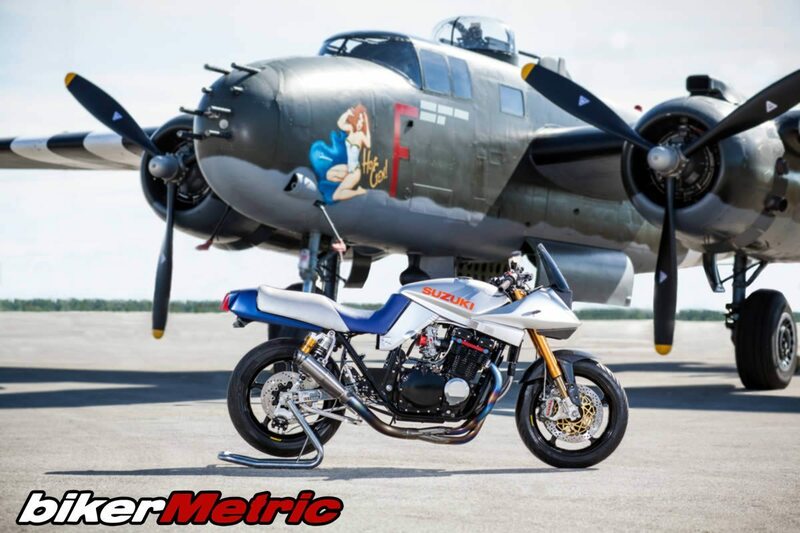 bikerMetric: And on the dark side? ACP: We are venturing into the world of Harley-Davidson with a 2007 FXD with a girder front end air-ride suspension. It may not be metric, but it should be a stunner! ACP: Alex Cristache was on board for another successful build at ACP. bikerMetric: Props to Alex! Remind us one more time where readers can find you guys for parts for their own projects, custom fabs, paint, and top to bottom builds? 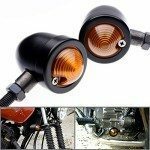 bikerMetric: Thanks guys. Always a pleasure having the home team on the site! 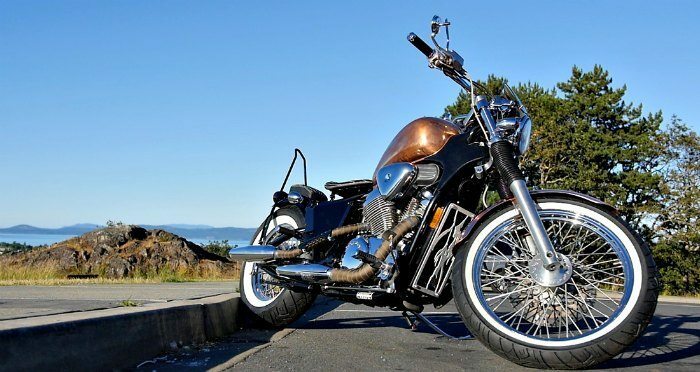 Click for other builds by ACP on bikerMetric.